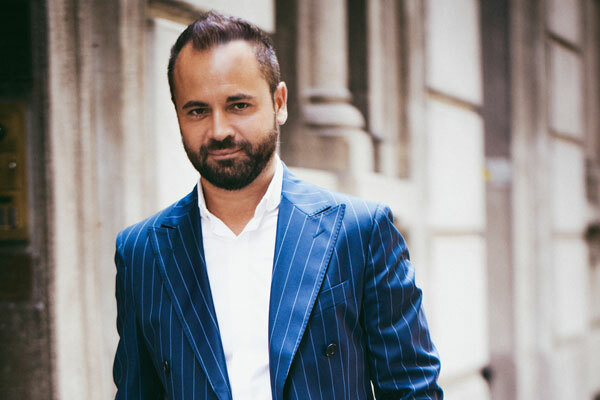 Design International, a London-based architecture, master planning and interior design company, said its global business development head, Luca Cappuccitti, has been roped in for a major role in the steering committee of Mapic, an international retail real estate show to be held in Cannes, France, this November. Organised by Reed Midem, the three-day event will feature conference sessions besides an exhibition area and networking events to help facilitate retail real estate development. As the leading international retail real estate event, the show attracts over 2,100 retailers, 2,500 property developers, 1,000 investors and 10,000 participants from 80 countries. The annual event in Cannes has become a pivotal meeting point for major players in the retail sector. An innovative architectural practice with offices in Milan (Italy), Shanghai (China) and Dubai (UAE), Design International said Cappuccitti is being given an advisory role at Mapic for building the show strategy. An industry influencer, Cappuccitti has been active in the retail industry for many years and, as a member of Design International, is part of a firm that has been at the forefront of shaping retail architecture trends for over 50 years. The Mapic steering committee is a group of influencers in retail and retail real estate industry and, with their involvement, the retail real estate event remains ahead of the market trends, making it the must-attend deal-making show on a global scale with participants from over 80 countries. Mapic director Nathalie Depetro said: "Cappuccitti’s engagement as advisor is a natural evolution as he has been the show's ambassador for years, so it was a logical next step for him to join the board. He has always been there to facilitate the networking on C-level, thanks to his rich knowledge of the retail business and his outstanding personality." Mapic has been at the leading edge of the retail revolution since 1995, constantly adding new location-based elements while remaining true to its core mission to bring retailers, investors, developers and specialists together to understand and drive forward lifestyle destinations. On his new role, Cappuccitti said: "Mapic has always been our key annual global event to meet with developers and stakeholders and showcase innovative solutions in the retail sector." "The show enables us to form strong relationships with associations and organisations from the real estate community so I am delighted to be part of the committee that helps bring this opportunity to our industry participants," he stated.